Posted by Terrence Murphy Sr. on Friday, February 8th, 2019 at 11:44am. Come experience this stunning home nestled in the Pebble Creek Subdivision! 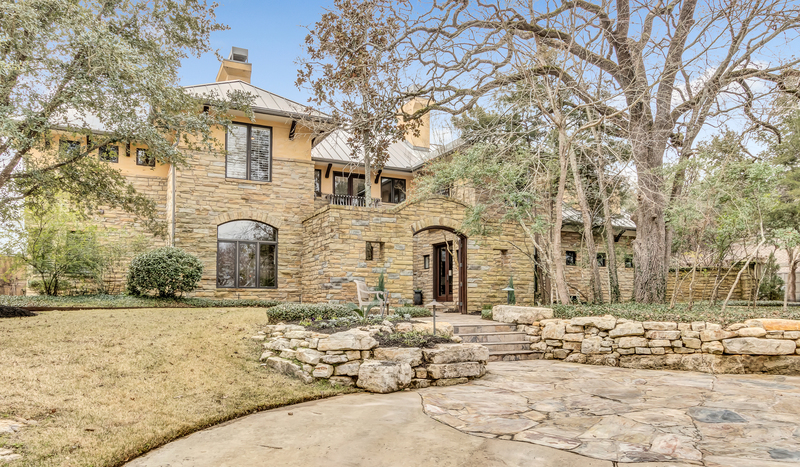 Walk up the beautiful stone steps into the front courtyard complete with water feature and custom cedar front doors. 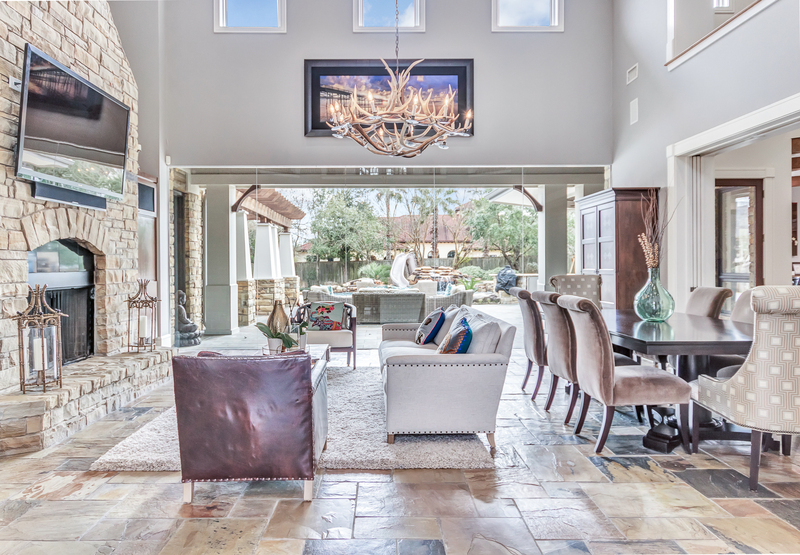 In the grand living area you’ll find soaring ceilings and stone fireplace in addition to an impressive butter glass wall of windows overlooking the beautiful back yard and pool. Bright kitchen complete with glass subway tiles, eating bar, granite counters, Thermador and Bosch stainless steel appliances, built in sub zero fridge, and massive island make it a dream kitchen for preparing family meals - it overlooks the breakfast area and has direct access to the pool area. The master bedroom boasts of wood beams, recessed lighting, and access to the patio as well. The large master bath has a roomy walk-in closet, shower, double vanities, and jetted tub for relaxing after a long day. It wouldn’t be complete without the hidden wine room or wet bar! Travel up the stunning wood staircase with wrought iron bannister to the second story hallway that overlooks the grand living area below. Three of the upstairs bedrooms have courtyard balconies and three have built in shelving and desks ideal for storage and study! 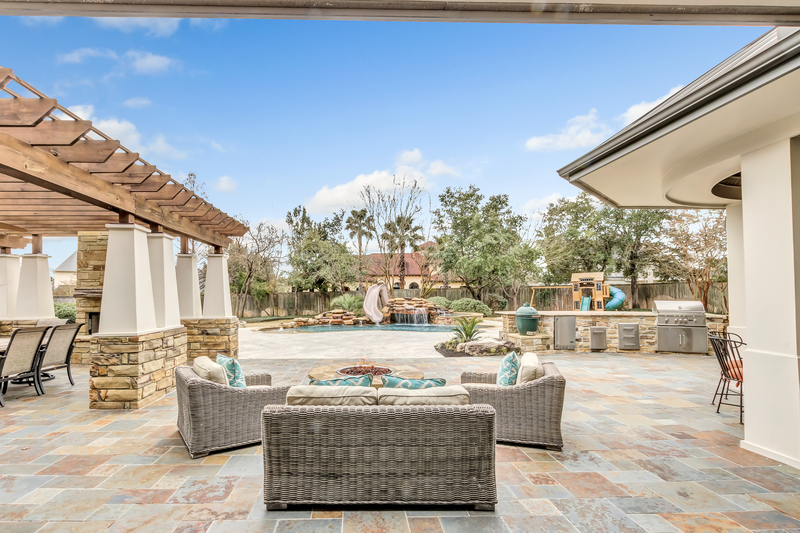 The beauty continues to the backyard with the trellised eating area, enormous patio for seating, waterfall pool, fireplace, fire pit, and built in grill and mini-fridge creating the perfect atmosphere for large family gatherings or entertaining!